The World Cup in Russia this summer was the most important in American history even though football fans in the United States strangely enjoyed the lack of involvement. You may ask how this is possible as the nation inexplicably failed to qualify for the World Cup Finals, so how can it be the most important in their history? Leaving the pitch after a 2-1 defeat at the hands of Trinidad and Tobago and calling it a positive would be insane. I remember feeling empty after seeing the news that the United States would not be participating in the greatest sporting event in the world. Absolutely crushed. Devastated. But let us take a look at what came from this terrible loss. Sunil Gulati was finally ousted as United States Soccer Federation President. Bruce Areas was fired, hopefully for the final time. 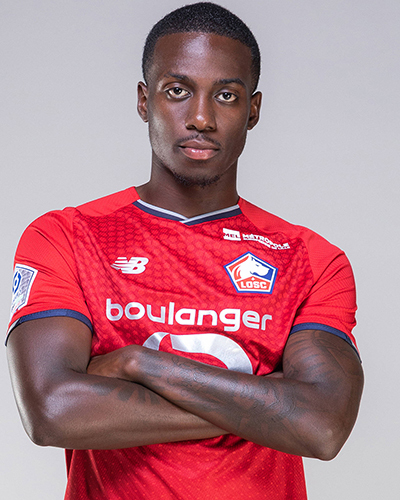 The youth movement finally had some emphasis within the Federation (hello Timothy Weah). Last, but not least, the bad taste of not qualifying should fuel the squad going into the next four years. This concept may be more abstract, but stick with me here. I did not get a chance to go to my local bar and chant “USA! USA! USA!” with all of my friends. I did not get to have this moment this summer (eight years later I still get chills watching that video and remember where I was when Landon Donovan scored that goal). That is okay, but let me tell you why. Football fans in America were forced to watch and be compelled by the sport without any bias. We did not have our team to support in this tournament. We learned to care about the World Cup for simply what it was – the best tournament known to man. This was my first World Cup as a true football fan. I say “true fan” because I did not start following Palace until the 2015/16 season and my love affair with the club, hence my interest in the game has increased ever since. That means during the 2010 and 2014 World Cup’s I would only watch when the USA were in action. I could not tell you one thing that happened in any other game, the final included. (Fun fact – the only non-USA World Cup memory I have is the infamous Zinedine Zidane headbutt!). If you were to tell me that I would be planning my day around watching Iran play Morocco, I would have called you crazy but yet here we are. I did not rely on only watching the American squad, I learned to love the World Cup for what it is and what it means to so many people. First and foremost, the United States need to qualify for the 2022 World Cup in Qatar. Second, let the youth run wild. The theme of Russia 2018 has been youth (France and England as prime examples). Americans need to continue this trend into 2022 and beyond. Lastly, the US squad must make it out of the group stage. Not being biased, but if Russia can pull it off, then so can we. I will severely miss the World Cup. My football life has forever changed because of these last four weeks or so. However, its passing means the beginning of the Premier League is on the horizon so we get to complain about Palace’s lack of signings instead!